Free Post Apocalyptic Prepper Thriller of the Day with valuable insights on what to do in case of an Apocalypse! 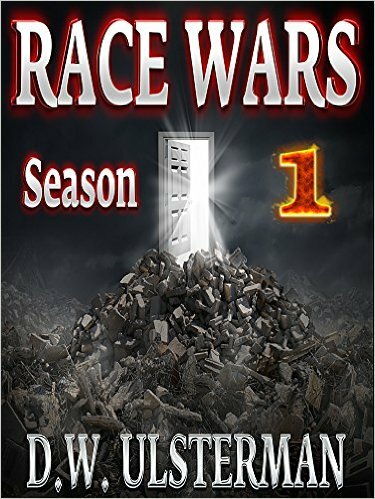 *Post Apocalyptic Fiction: RACE WARS OMNIBUS: Seasons 1-3: A thrilling post apocalyptic American survivalist series… (Deal, Not Free) by D.W. Ulsterman, American Survivalist. Price: $0.99. Genre: Prepper Box Set Deal, Sponsor, Dystopian, Post-Apocalyptic. Rated: 4.3 stars on 15 Reviews. 398 pages. ASIN: B0141OXQVA. Reviewers love it: I was blown away by how relevant these books are to what is happening today! Action-packed and awesome, I can’t wait for more! It encourages some deep, honest thinking. Gripping and well written! One of the very best! Posted on February 18, 2016 February 18, 2016 Author KibetCategories $1 Prepper Thriller Deal, Free Prepper ThrillerTags $1 Prepper Thriller Deal, Free Prepper ThrillerLeave a comment on Free Post Apocalyptic Prepper Thriller of the Day with valuable insights on what to do in case of an Apocalypse!